World Champions, Germany, trounced Mexico 4-1 to advance to the final of the 2017 Confederations Cup final. 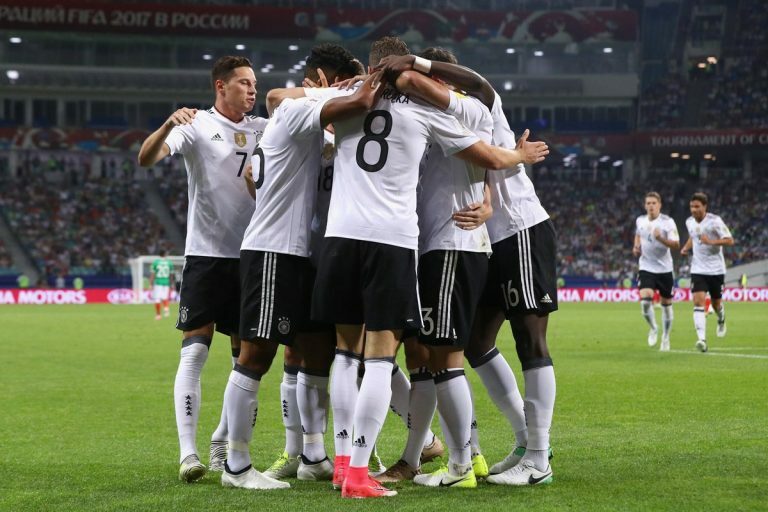 Leon Goretzka scored twice in the opening eight minutes, and Timo Werner scored one in the second half, as Germany rolled to a 4-1 win over Mexico in the Confederations Cup semifinals, setting up a date Sunday vs. Chile in the final. Marco Fabian gave Mexico its lone bright spot with a thunderbolt from 35 yards in the dying minutes, but it was followed almost immediately by Amin Younes, who capped the victory. 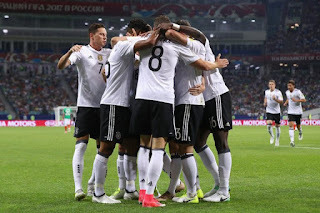 Mexico was vying for a second Confederations Cup title and first since 1999, and had already had to battle back in each of its three games in Russia thus far, earning a draw against Portugal and consecutive 2-1 wins over New Zealand and Russia. That theme continued Thursday. Goretzka scored twice, capitalizing on a pair of shambolic sequences for El Tri’s defense. The pair of goals vaulted Goretzka to the top of the Golden Boot standings with three total, leaping over teammates Timo Werner and Lars Stindl, who both scored twice in the group stage.